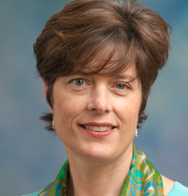 Professor Marianne Page will present the second UC Davis Economics Undergraduate Seminar on Wednesday, February 27th, 3:30-4:30 in the Andrews Room (SSH building). The title of the presentation is "Child Poverty, the Social Safety Net and Economic Mobility". Professor Marianne Page is a Professor of Economics at the University of California, Davis, with expertise in labor economics and public economics. In addition to her position in the Department of Economics, she is the Director of the Center for Poverty Research at UC Davis, a research associate with the National Bureau of Economic Research, and a research fellow at IZA. She currently serves as co-editor of the Journal of Policy Analysis and Management. The event is free, open to all undergraduates and followed by a reception from 4:30-5:30 to talk with faculty from the Department of Economics. The UC Davis Economics Undergraduate Seminar Series takes place once a quarter and hopes to bring together faculty and undergraduate students to talk informally about topics of mutual economic-related interest.